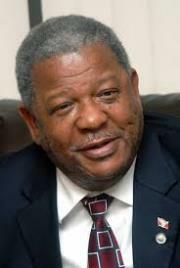 Baldwin Spencer has conceded defeated in the Antigua and Barbuda general election 2014, which means, that the Antigua Labour Party (ALP), under the leadership of Gaston Browne, will run the country?s affairs for the next five years. Prime Minister Spencer thanked colleagues and supporters and wished the new government success as the United Progressive Party had been seeking a third term after winning elections in 2004 and 2009. The Opposition ALP has so far won five of seventeen constituencies to UPP?s one, but was leading in all but one of those still to be counted.